Travel theme: Symbol | Where's my backpack? I’ve been sitting here listening to tributes pour in from world leaders for Nelson Mandela and the word I hear used over and over is symbol – a symbol of peace, freedom, humility, unity, transformation and hope. As a tribute to an extraordinary man and a life well lived, let’s give the week over to all things symbolic. 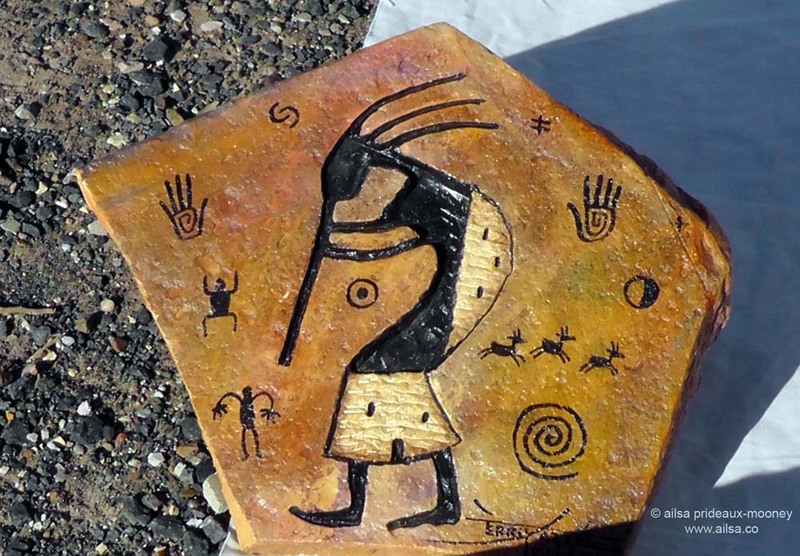 One of my favourite symbols, the flute-playing Kokopelli, is depicted in petroglyphs all over the southwest and on pottery dating as far back as 850AD. He bestows fertility and rainfall, overseeing childbirth and agriculture. This piece was created by an artist I met in Canyon de Chelly last summer. 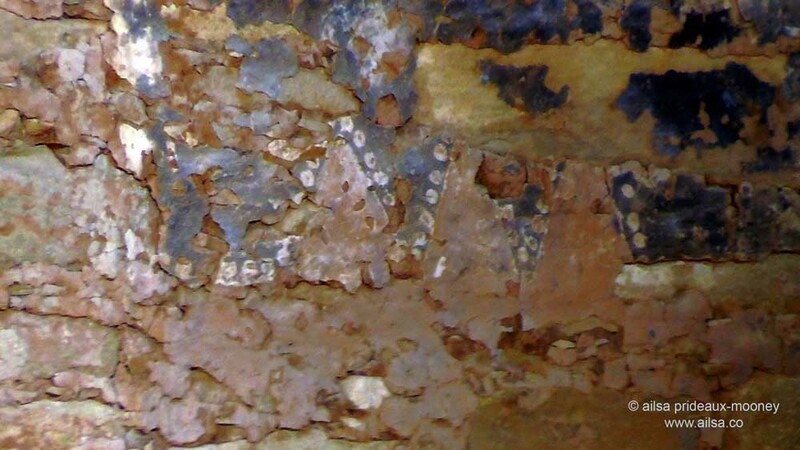 Ancestral Puebloans left their mark on the walls of their cliff dwellings at Spruce Tree House in Mesa Verde. Sitting on a New York rooftop by candlelight watching the city dim during Earth Hour. Turning off the lights for an hour won’t solve the environmental issues we face; rather it is meant as a symbolic gesture to be more aware year round. I was pleasantly surprised to see quite a number of lights turn off in the Big Apple, including the Empire State Building. That’s a great theme! I was just watching a documentary on Mayas and their symbols! I’ll come back later with my entry! Thanks Ailsa! I’ll try to come up with something…sounds like fun! Yes, Nelson Mandela symbolised so much of what is right in the magnificent country of my birth! He was indeed a great man among men so we should remember the good and not forget that he was also human with failings just like every other South African and for that matter, everyone else on the planet! I am really drawn to the Kokopelli but the darkness and lights of the Big Apple are magical! Very cool theme, Ailsa! These are great selections for symbols. Such a pretty photo of the flute player, Ailsa, I love this week’s theme. Wow, Marion, that is amazing, I went straight to a map of Utah to find out exactly where this is – I drove straight past it twice and never knew it was there. So, another reason to return to Utah! Sorry about that. I had to read it in the original Spanish. It’s not my heart language. So painfully slow. Each of these symbols are extremely powerful, Ailsa. In Mesa Verda – the natural solar elements of the cliff dwellings are amazing. And I do want to visit Canyon de Chelly, a sacred place. Seeing the lights turned of in the earth hour, is the most powerful symbol to me – we can live with less. Symbol is important to humanity – like peace and love. “The kings and leaders don’t make history – it is the masses.” Mandela!! PS – looking forward to creating this post. Thanks for the inspiration. I love the symbols of Mesa Verde! Very cool, I didn’t realise there were so many variations on the shell – I’ve always wanted to do the Camino de Santiago. Did you walk the whole route? I didn’t walk it at all. But by travelling through German, France and Spain we always came across the shell sign. A beautiful idea, Ailsa. Love the Spruce Tree House. This is a good one Ailsa ! Your photos are remarkably tactile! Hey Ailsa, here is mine for this week http://publictransituser.wordpress.com/2013/12/06/travel-theme-symbol/. Great photos ! Yes they are. Tikal is remarkable as well. Thank you so much. The iconic shot of the Arch. Hawaii really is beautiful. And what people say about each island being totally different is completely true. I’ve only been to Oahu, but would love to explore the other islands sometime soon. Aloha! Pingback: Symbol | Ouch!! My back hurts! !